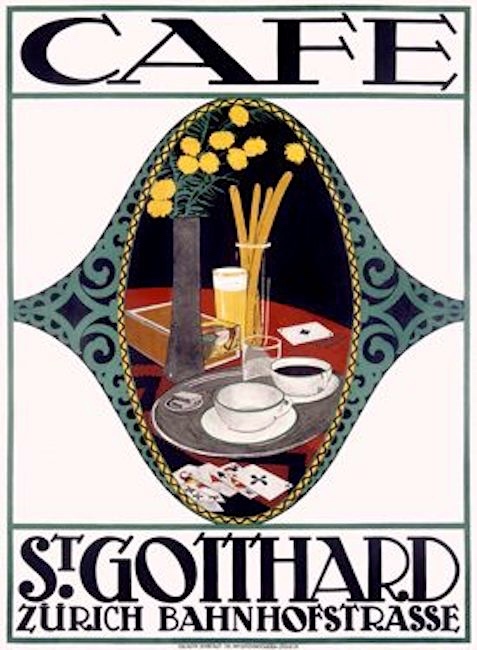 Kim Darnell has been preparing a Page on this blog linking to my postings about Switzerland and the Swiss. This has caused her to discover still more Zwicky-related sites — thus giving me still more things to post about. The great cycle of posting. 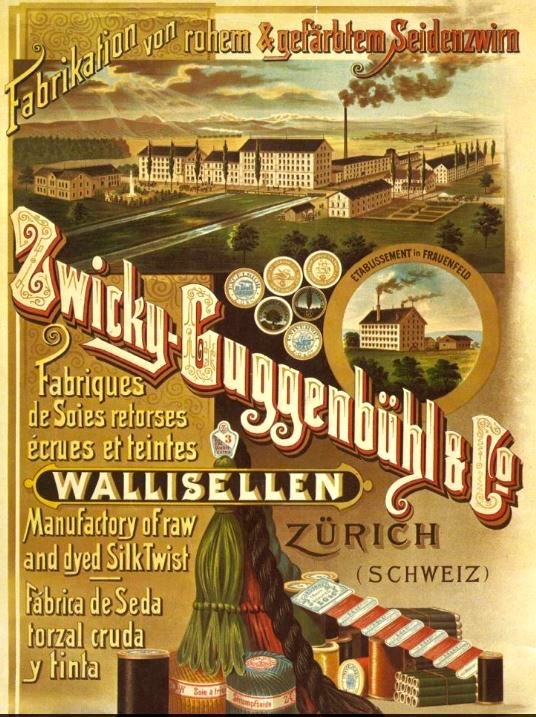 That posting took us to the Schweizerische Schälmühle (‘Swiss hulling-mill’) E. Zwicky and its muesli. 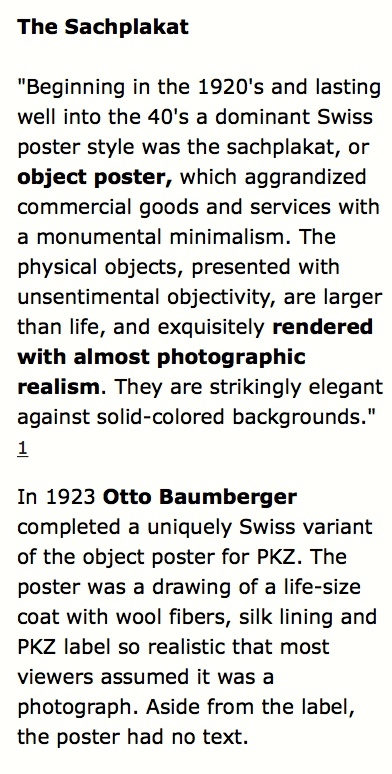 Meanwhile, the Page on “Switzerland, things Swiss” is now finished and available for consultation. 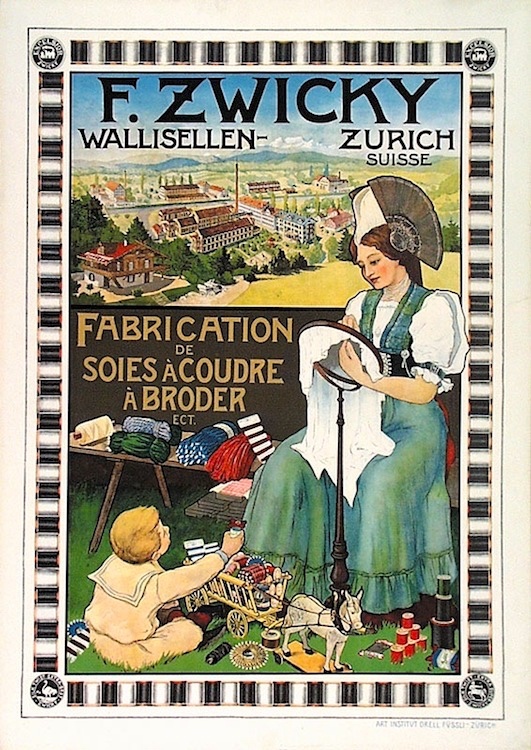 Zwicky & Co. wurde 1840 in Wallisellen (Kanton Zürich, Schweiz) als Seiden- und Baumwollzwirnerei gegründet. Das Unternehmen wurde im 19. und 20. Jahrhundert zu einer weltweit bekannten Herstellerin hochqualitativer Zwirne. 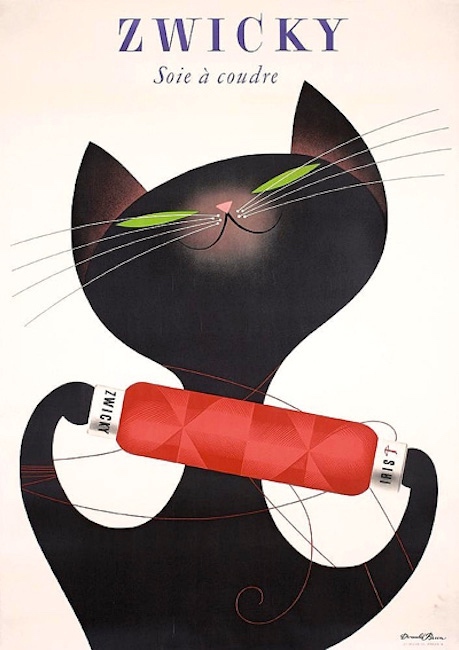 Otto Baumberger (21 May 1889 Altstetten, Zurich – 26 December 1961 Weiningen), was a noted Swiss painter and poster artist. 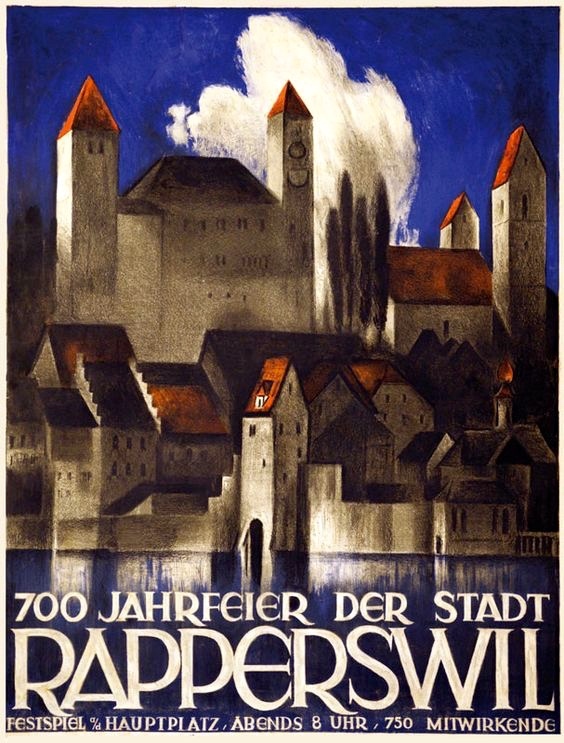 Baumberger produced some 200 posters of great quality and style. 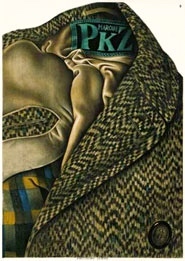 His realistic rendering of a herringbone tweed coat became a classic of Swiss poster, an example of a Sachplakat (object poster). 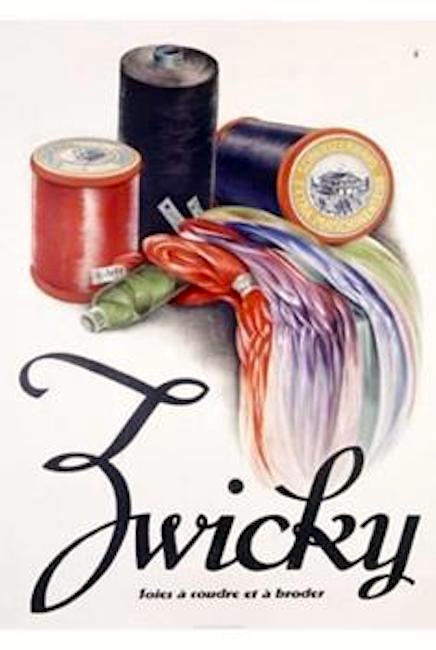 This entry was posted on June 19, 2018 at 6:42 pm and is filed under Art, Zwickys. You can follow any responses to this entry through the RSS 2.0 feed. You can leave a response, or trackback from your own site.